Before I start with the details of this latest album rescued I want to let you know why my posts have been so sporadic lately and may be for a few more weeks. Over the past few months I have been having G.I. issues which have greatly escalated in the past few weeks. Now it looks as though my gall bladder may have to be removed. So, nothing very serious but definitely disruptive and now if I disappear on and off, you'll know why. 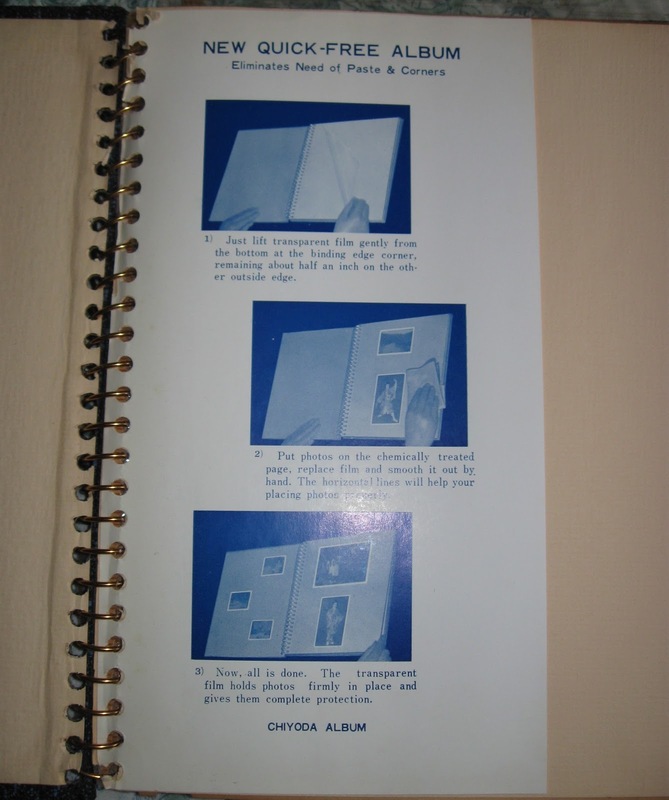 I had no idea that removing the photos from these albums was supposed to be so difficult, that after so many years I should find the photos and the pages had fused together. I had no idea because these photos had come out pretty easily as if the adhesive had dried out almost completely. My mother has five or so of these albums, the other four are still at her place. I was hoping to find information about these albums online (the bottom of the flap in the photo says "CHIYODA ALBUM", but no luck. 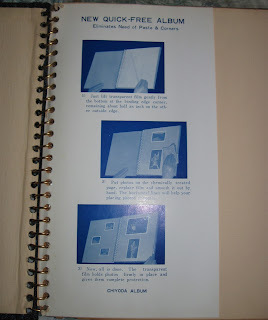 Four photos which, instead of being attached to the page, were attached to the plastic covering with tape! Why? Who knows? I was not able to get anywhere with the spatula or floss here. I just had to cut the plastic sheet around the tape and let that suffice. 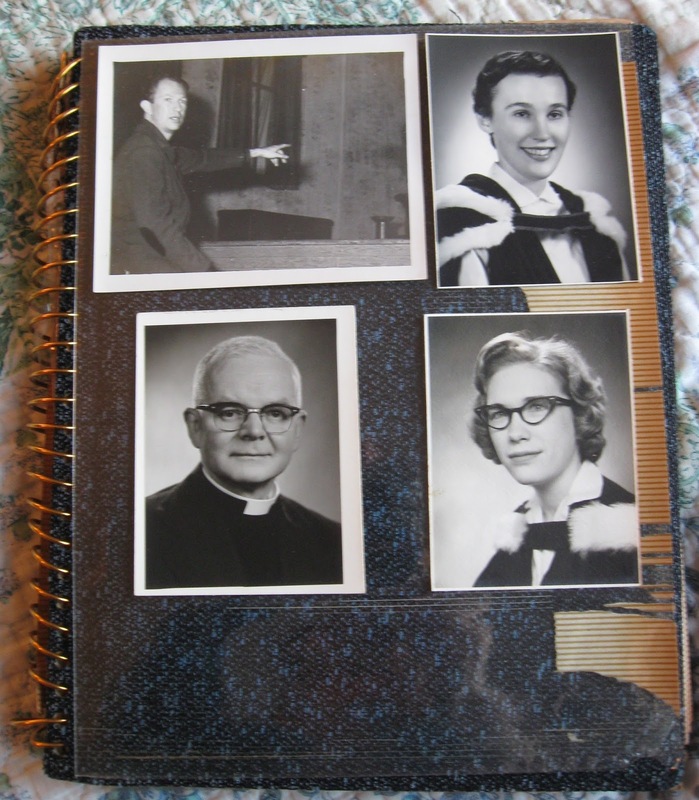 There is also a large class university photo attached to the back cover. 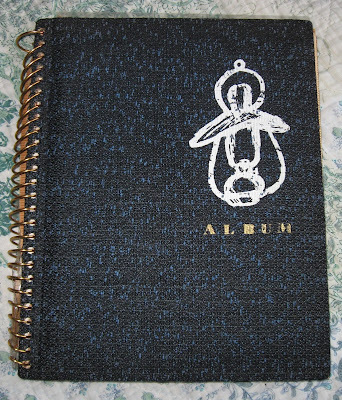 After scanning, I may try to cut around it with a craft knife or I may end up saving the whole cover, not sure yet. I'm not sure now when I'll get to the other magnetic albums, but I do hope to post on other topics this week. I have some albums in which the photos are so loose that they have slipped out from under the plastic sheet and are in a jumble. Others are completely fused to the magnetic sheet. So expecting the unexpected is to be expected. Have you considered something like acupuncture? Having parts of my body removed has never helped anything; just added to my load of trouble. There are so many different problems with these albums, I can't believe they're still sold, though I guess if you've never heard the word 'archival' they do seem like an easy option. It may not be my gall bladder after all, heading to a new doctor next week. Thanks, Dana, feeling better but no diagnosis yet. I, too, have had my share of troubles with these albums... My grandmother loved them (unfortunately). Hope you get your health troubles figured out and fixed soon.